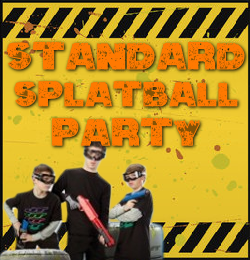 Utilising the industry's very best spring-loaded paintguns and child-friendly, smaller paintballs from JT Splatmaster, our SplatBall parties are designed for the younger player (ages 8+) who isn't quite ready to take on the intensity of full-blown paintballing yet. 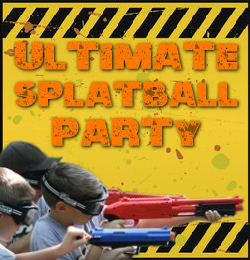 Our party packages are designed to give value for money, an easy non-intimidating and safe introduction to the sport, and maximum entertainment. Each player receives a score-card at the end of the session, showing their performance and successes during each SplatBall activity. Best of all, our prices include ALL ammunition with no hidden costs or extra ammo surprises, allowing you to keep tight control of the party budget. 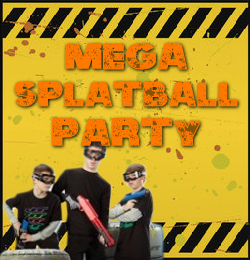 Bunker SplatBall is available for bookings 7 days a week from 10am to 5pm. We are also available by special arrangement for evening games (please contact us to discuss). All evening games are subject to a surcharge of £15 due to extra staff costs.